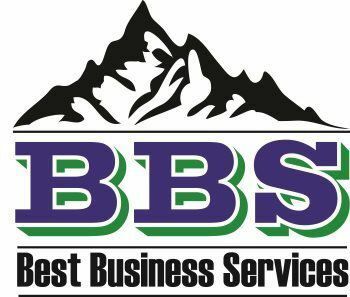 BBS is not your ordinary tax company. We realize that our customers are our first and primary priority and we pride ourselves in helping them with all their tax, accounting and administrative needs. Our professionals have the experience, expertise and enthusiasm to help you with any problem you may face, and we offer a broader range of tax products and services than any other firm. BBS provides income tax preparation for all types of companies and individuals. Often different types of entities are often taxed at different rates and we will help you decide what is the best type of organization for your business and what the corresponding tax requirements will be. If you have an international component to your business or if you are a global enterprise, tax systems in countries other than the USA can be quite different in how they treat taxation of different types of entities. Also, estates, trusts and fiduciaries are usually subject to special tax provisions. Often different taxing agencies will allow you to elect to be taxed in different ways and understanding these elections and tax provisions can be crucial in determining how to lower your tax burden. Partners may be taxed different than shareholders or other types of owners – understanding all these different tax provisions can be very difficult and time consuming, but BBS can eliminate this administrative burden and give you sound advice to assist you making proper tax-related decisions. Free Consultations – When you need answers or to better understand something – all consultations are when you use BBS. Audit Assistance – If you are audited by IRS or other taxing authority for a return that we prepared, we will assist you in responding to and answering all the audit related questions. Free Copies – BBS always provides you with free copies of any of the returns we prepare. Satisfaction Guarantee – At BBS, we 100% guarantee all our services. If you are not completely satisfied for any reason, we will refund your tax preparation fees. Accuracy Guarantee – BBS’s professionals give you the largest possible refund and the most accurate tax returns. We don’t make errors, we do things right the first time and every time. Year-Round Support– We are not just around during tax season, our offices are open year round to answer your questions and serve your needs. Correspondence Assistance – We offer tax assistance with any federal, state or local correspondence you receive from the IRS or other taxing agencies; including inquiries, audits, and letters about your various tax returns.